St Patrick’s Day is always a blast with good friends paired with Guinness and Irish whiskey. 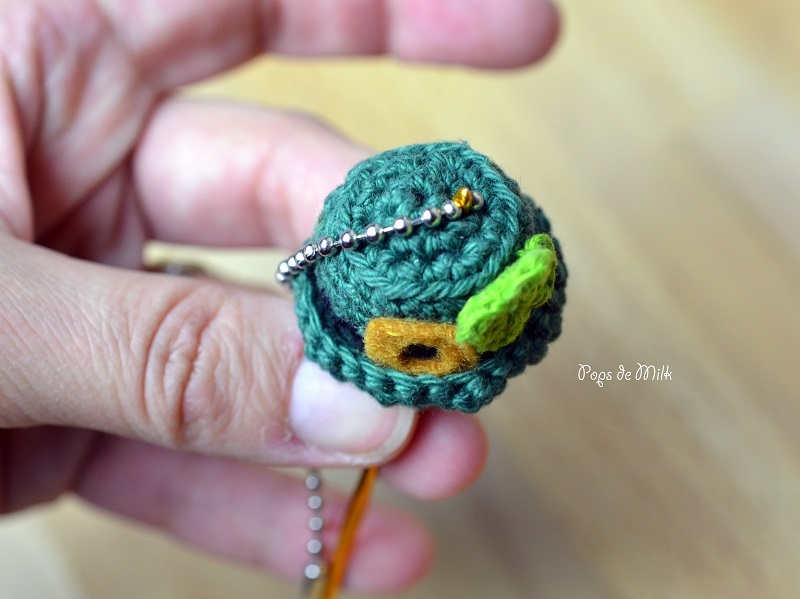 But rather than wearing giant green leprechaun hats, I thought I’d celebrate St Patty’s Day my own way by making a little crochet lucky hat key chain! 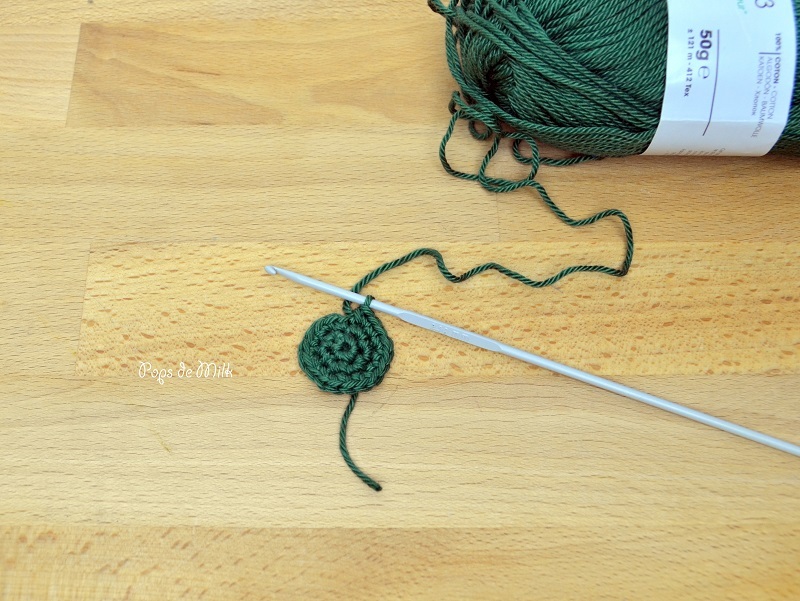 This is a simple pattern and great for beginners who are looking for a feeling of accomplishment you get from finishing a new project. 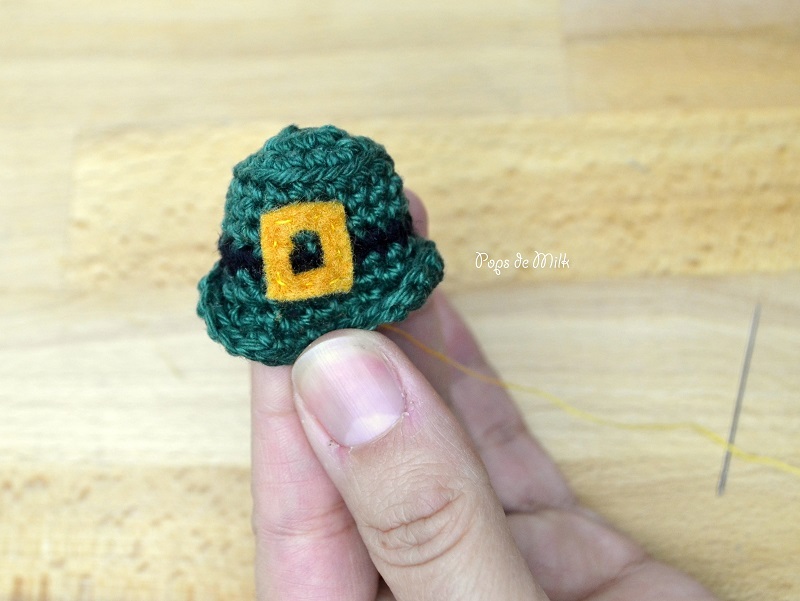 This little green hat have a golden buckle that could be made with golden yarn, but really, at this size it’s better if you find a piece of gold cloth or felt and just sew it on. 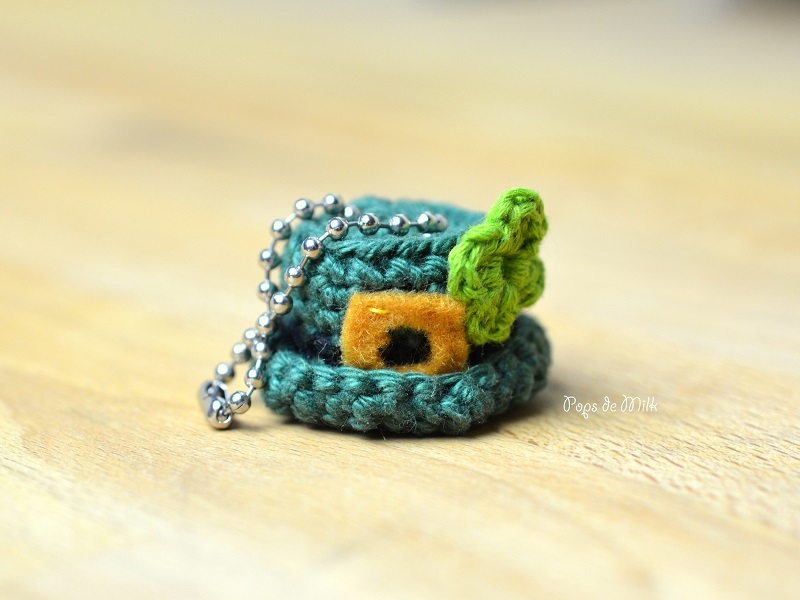 Initially, I was thinking about putting this on a necklace, or as part of a crochet bracelet of lucky charms. That’s very possible, but personally, I like it best as a key chain. 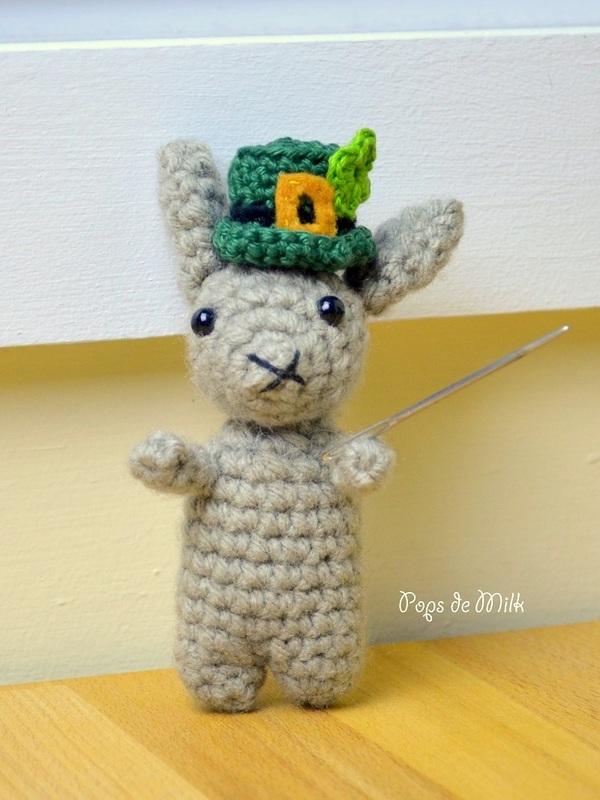 Or maybe as a fashion accessory for a leprechaun amigurumi. 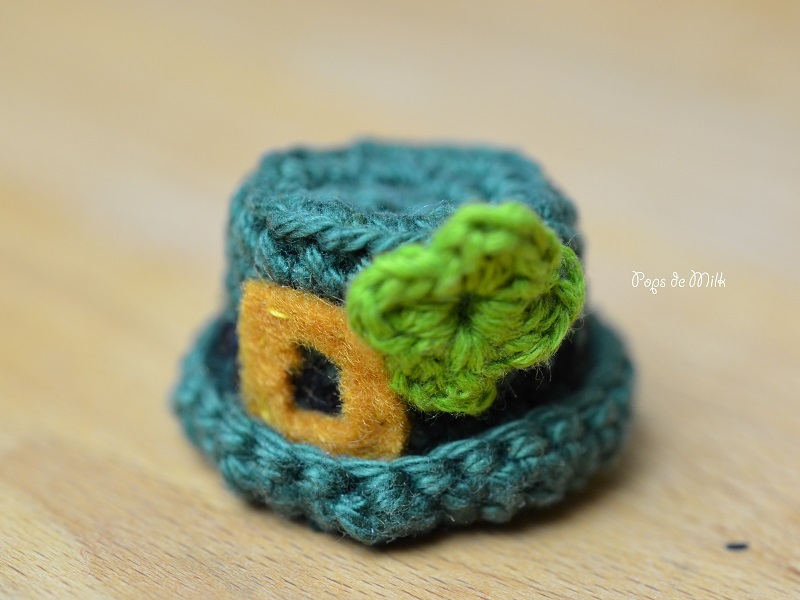 I used a thinner yarn for the clover than the hat itself and it’s black band. 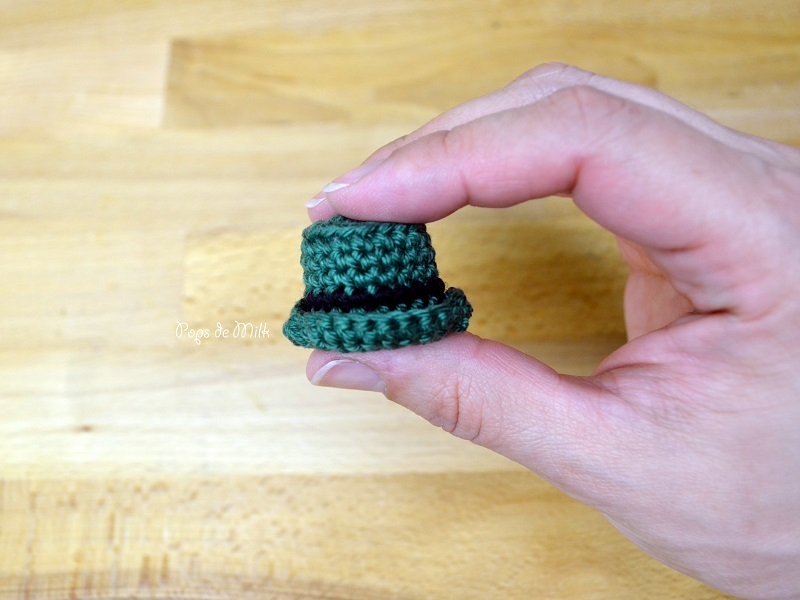 And to attach this cute little hat to something, you’ll need a key chain which you can find at your local craft store, or online at Etsy or Amazon. 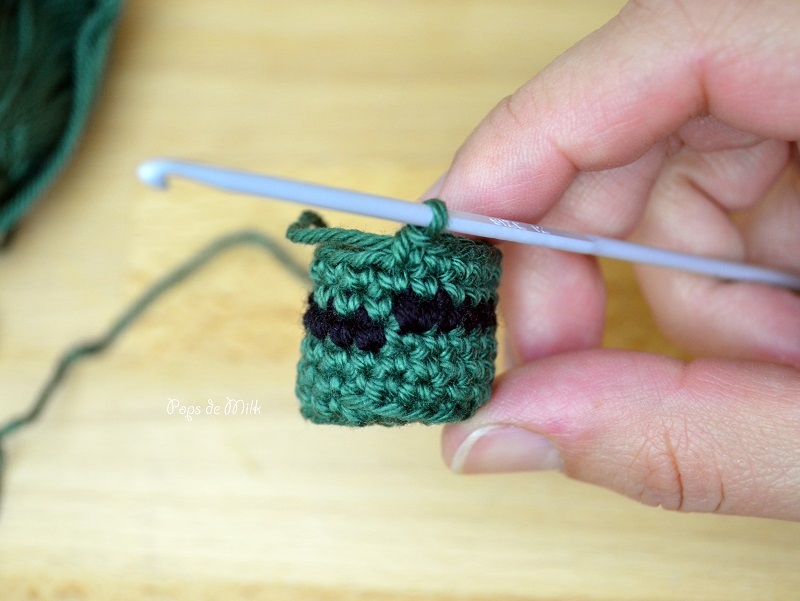 Switch to black yarn, do not cut green yarn. Cut out a small buckle out of the gold felt and sew it onto the hat. It helps to fold the edge down while sewing. In magic ring [ch 1, hdc, 2 dc, hdc, sl st] x 4. 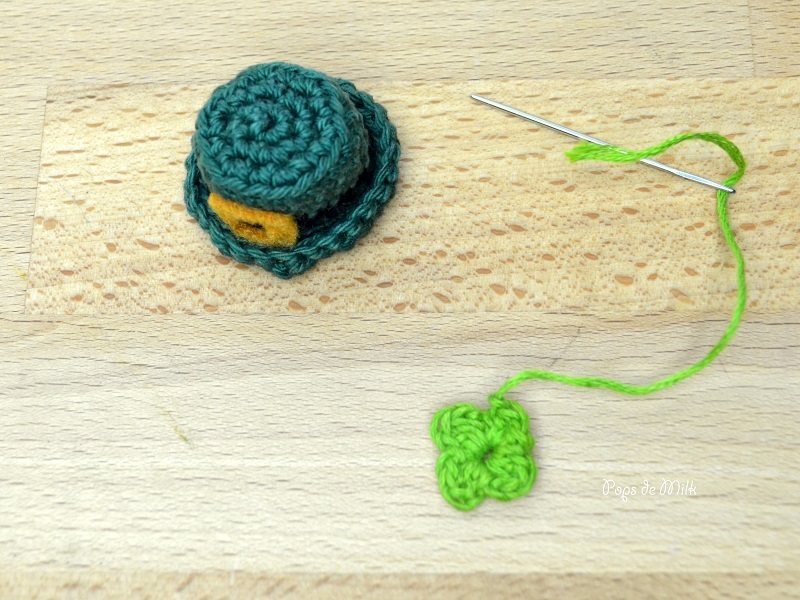 Fasten off leaving enough thread to sew onto hat. 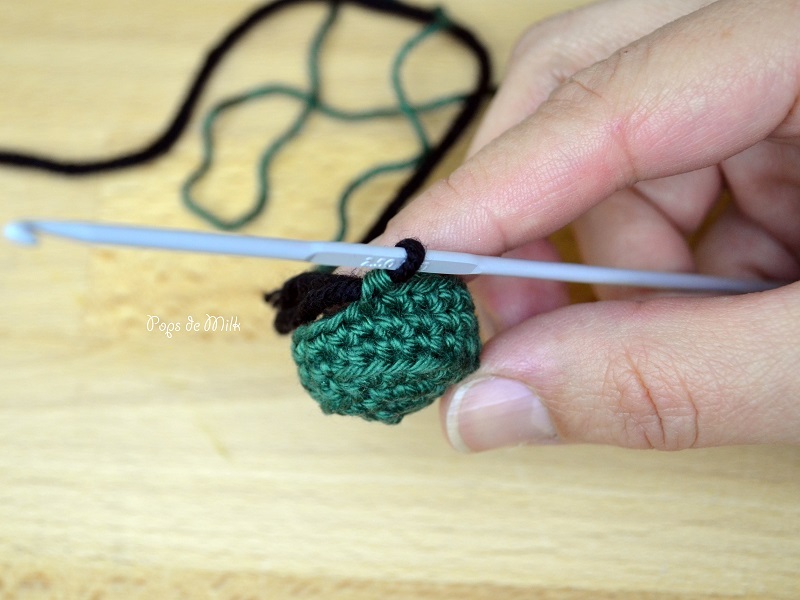 Use the smaller hook to help attach the key chain and you’re done!